Mt. Fuji : the highest mountain in Japan. 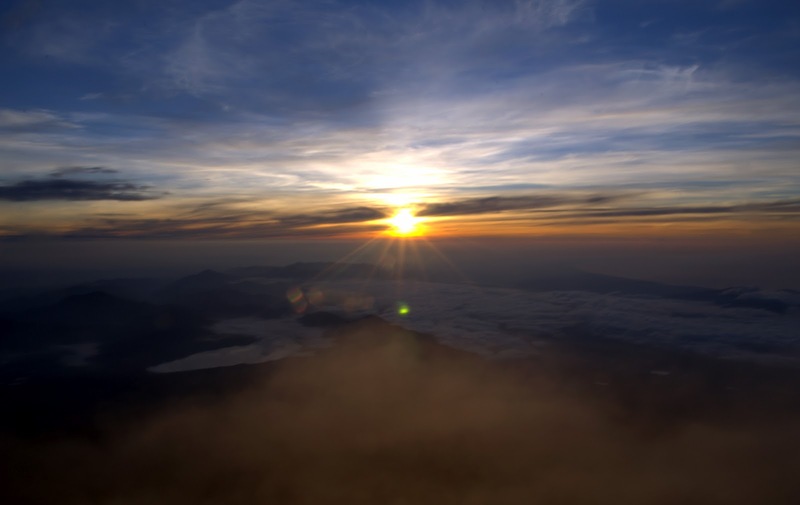 Also regard as one of 'Japan's Three Holy Mountains' along with Mount Tate and Mount Haku. It is a special place of scenic beauty, a historic site and has been submitted for future inscription on the World Heritage List by UNESCO. Finished on the introduction on Mt. Fuji. 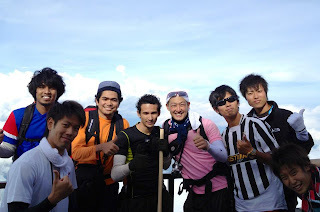 I want to tell a story regarding my experience on climbing the highest mountain in Japan. 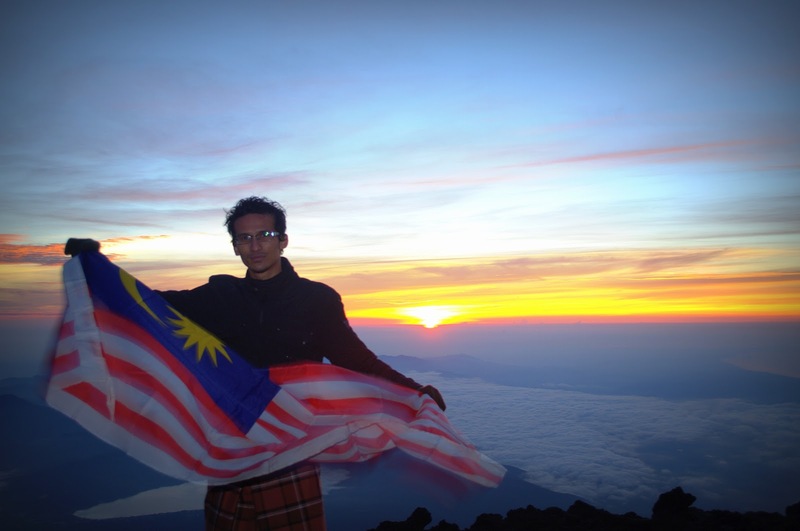 Honestly, i never climbed any mountain before nor do i have any interest in mountain climbing. Back in Malaysia, the only highest 'natural place' that i've climbed before was Broga Hill. Though, it was just only a 'hill', compared to 'mountain', the hill are just nothing. There are about 5 routes to the peak of Mt. Fuji, and after done my homework of searching an infos, we decided to climb using Kawaguchiko route. To reach Kawaguchiko 5th station (the starting place to climb using kawaguchiko route), we took a highway bus direct from shinjuku train station to Kawaguchiko 5th station. The process was so convenient that i did it all only using an internet ; the process included finding info, reservation of bus and mountain hut to stay and confirmation with staff/person-in-charge. We reached 5th station around 12 noon and started our climbing at 1 in the evening. We used 1 hour gap to get ready of our gears/tools and stop for prayer. After everything was set, we started our climbing with bismillah and a du'a hopefully everything went well. 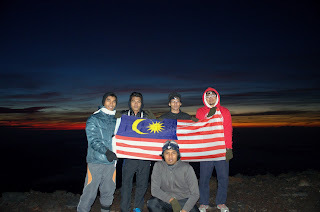 (Alhamdulillah everything going as planned and everyone safely reached the peak and safely return back home). This 2 picture shows that the people i've met during the climbing. Above : full energy grandpa, climbing Mt. Fuji every month just for self-satisfaction and maintaining body stamina. Below : a group of Ritsumeikan student that i met. Full of energy and friendly. 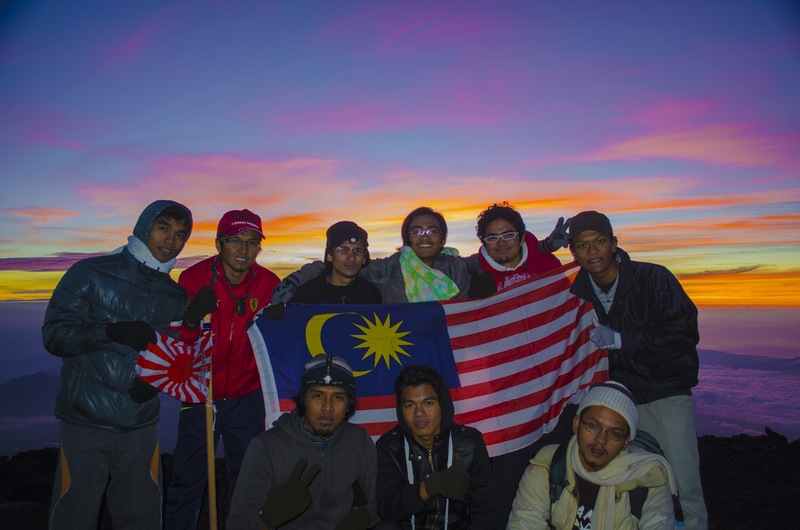 Sadly, can't continue journey together with them as we only climbed together till 8th station and we got separated. Midnight at 12, we were set to continue our journey to the top of the mountain, which was at station 9.5, around 700m more. 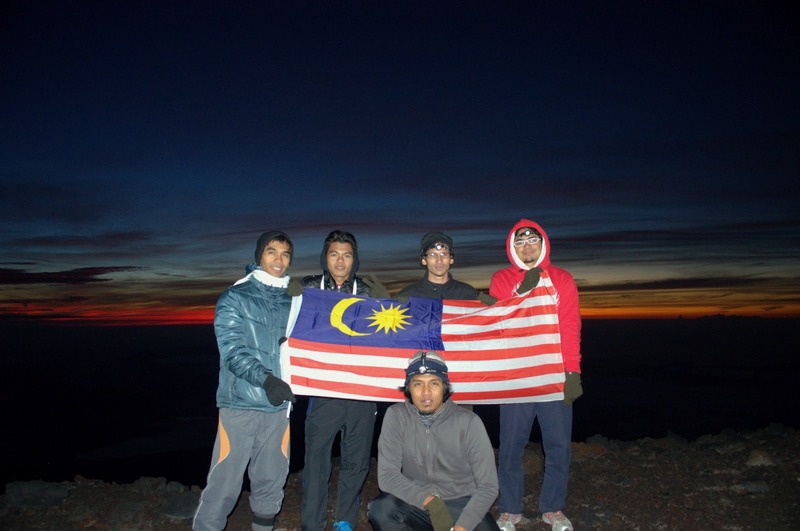 Eventhough there were only another 700m to the top of Mt. Fuji, the road are more steeper than before. 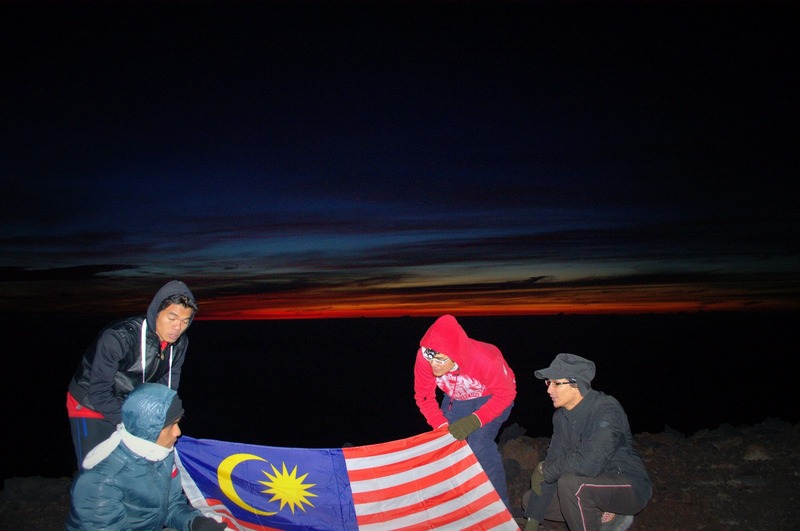 Plus, in the dark night, armed with only a headlamp or flashlight, the climb to the top became more challenging. Nevertheless, we 'the fast-pace group' still managed to get a best record for ourselves. We managed to climb to the top of Mt. Fuji with a recorded time of only 2 and a half hour. We reached the top of Mt. Fuji at 2.30 in the morning. It was really early to wait till sunrise which was at 5 in the morning. Plus the temperature at the top was about 5 degree celcius. It was soo cold. I already wore a long-john, 3 layers of shirt and a jacket.....still i could felt the coldness. Last 'R&R' or so-called pit-stop before continue journey to the top. After all, the trip was excellent and gave me a great experiences~! With that, i end this story with a thousand thank you for reading. Do read my next post : trick art museum in Odaiba.